As trustworthy vapour cigarette suppliers we like to ensure that all of our customers get the best advice possible on all of the elements of e-cigarettes. Below you will find information and advice on vapour cigarette e liquid and on vapour cigarette battery care. We hope you find this information useful. If you would like any further information please feel free to contact us or pop into our E cigarette UK shop based in Stalybridge, Manchester. E-Liquid Contains Nicotine Which Is Very Addictive And Also Highly Toxic. Keep All E-Liquid Well Away From Children And Pets. It is strongly recommended that before charging and/or using a lithium battery, you should read and follow this guidance. Failure to do so may result in a fire, leading potentially to personal injury or damage. Vapour-ECIGS Cigarettes are not to be used by persons under the age of 18, pregnant or breast-feeding women or persons in ill health. 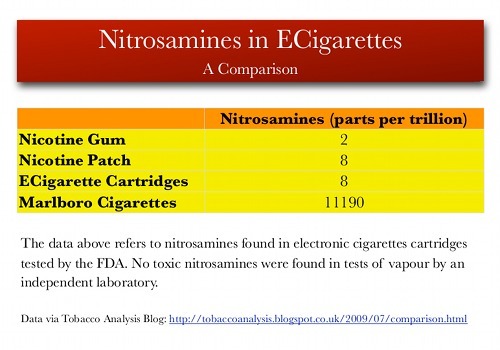 Electronic Cigarettes contain nicotine, which is an addictive drug.